Dr. Ryan has been in private practice for 43 years and established four Smile Makers Dental offices during this time, starting with 779 Harrisburg Pike. He mentored over 45 dentists during those years while studying extensively all phases of general dentistry and has reached the second highest level of “Fellow” in the exclusive Academy of General Dentistry. He is in pursuit of the highest attainable status of “Master” in the Academy of General Dentistry. Dr. Ryan’s practice is limited to braces on adults and children, TMJ as well as Botox, Derma fillers and facial esthetics on adults at the 779 Harrisburg Pike location. Dr. Ryan has always emphasized the importance of pain free dental services in a comfortable office with special emphasis on highest standards of care. Smile Makers is a modern dental practice dedicated to all your dental needs especially the nervous patients. Remember our motto that we originated in 1974! "We Cater to Cowards!" 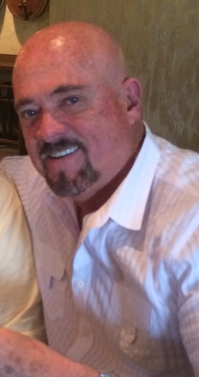 Travis Ryan earned his Doctor of Dental Surgery degree from The Ohio State University (1993). 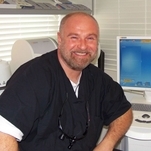 Dr. Travis is passionate about providing the highest quality dental care in a warm, comfortable environment. His scope of practice includes all aspects of general dentistry and cosmetic dentistry, oral surgery, crowns, implants, dentures, and partials. In addition to continually updating our already modern dental practice with the latest in dental technology, Dr. Travis strives to maintain a high level of expertise through regular participation in continuing education courses and seminars. In his spare time, Dr. Travis enjoys swimming, cycling, running and competing in multi-sport events. I received my Doctor of Dental Surgery degree from the Ohio State University College of Dentistry in 1995. I moved from Moscow, Russia to Columbus in 1989 after completing my undergraduate studies in computer science in 1985 and my dental and medical education in 1989. I joined Dr. J.D. Ryan and Dr. Travis Ryan at the Smile Makers in 2008. I pursue the best in continuous dental education improvement classes all over the country. Me, my wife, and my children love living in Columbus.